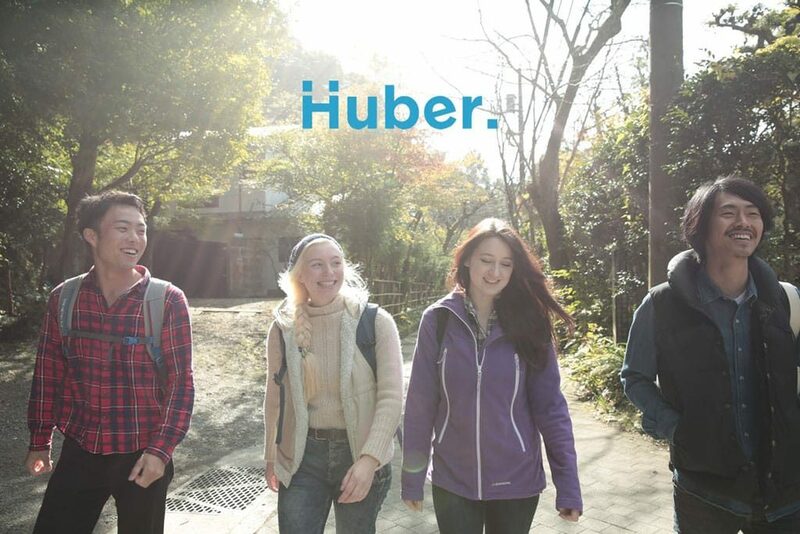 Experience a New Way of Travelling Around Japan with Huber. Tomodachi Guide! Japan is a dream destination for many people around the world. This unique country is bursting with famous sightseeing spots, traditional and modern culture, and overwhelming and diverse nature. When you think of Japan, it is easy to get lost when choosing a proper place to visit or experience you would like to try. Thus, planning your trip especially to Japan can become daunting and discouraging. You will ask Google “Where should I go?”, “How do I get there?”, or “When is this happening?”, And will receive thousands of pages with recommendations which will make your choice even more complicated. Add a language barrier on the top of your journey planning activities and try not to fall into frustration. However, Huber. Tomodachi guides are here to help with your travel plans! To avoid the disappointment with unmatched expectations during your travels in Japan, Huber. Inc. launched a new service and a matching platform for travelers coming to Japan and local guides that are fluent in other languages except for Japanese – Tomodachi Guide. Huber. is an ambitious startup that changes the concept of private guiding services and offers a personal approach to each tourist according to the unique preferences and desires. At the same time, this service allows local people to not only earn extra income but also lets them promote and show what’s good in their neighborhood. Huber. enables curious people in Japan to become Tomodachi (meaning “a friend” in Japanese) with foreign tourists through international exchange and experience sharing. On the other hand, the tourists are given an outstanding opportunity to discover Japan together with a local friend and explore authentic Japan with a personal approach. When choosing typical guide services, you usually just follow a guide, look and listen to the explanations without much integration process. 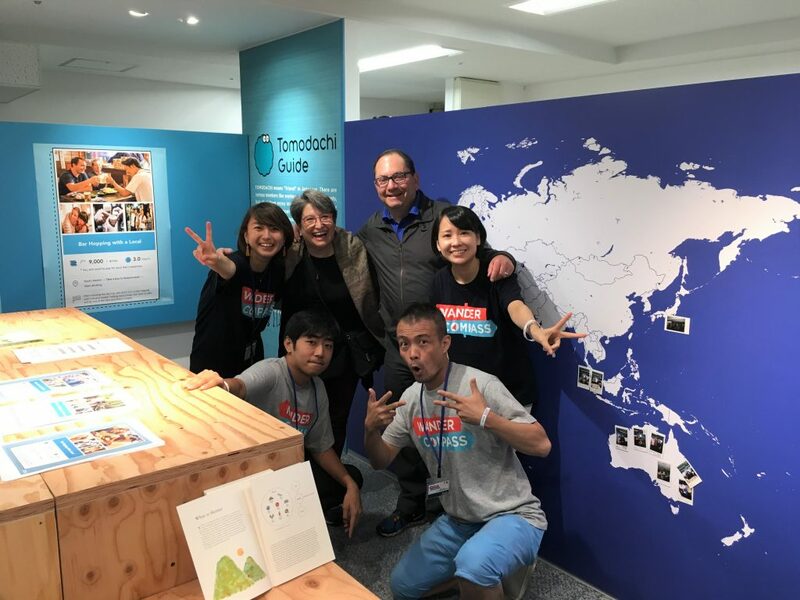 Unlike typical guides, Tomodachi guides share the same original experience with guests throughout their personalized tours. The guest identifies his expectations and interests to the guides through an application, and the guides provide a set of ideas, activities, and places to enjoy together with a guest. 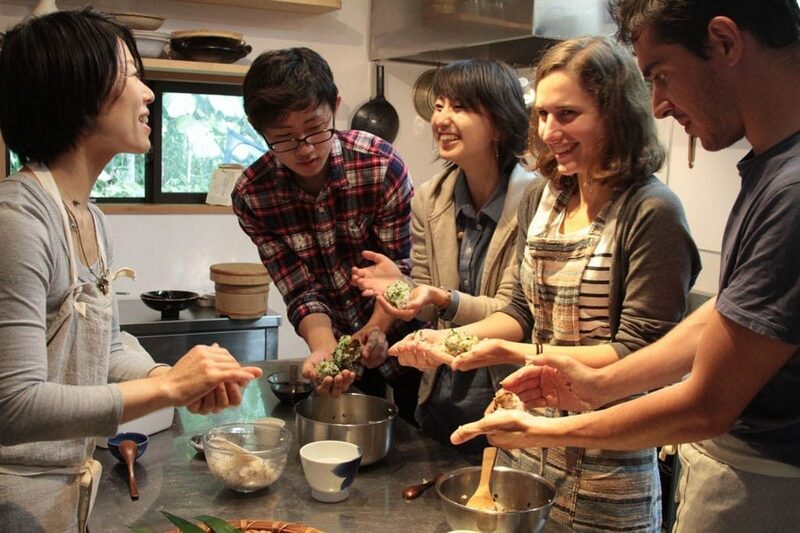 It doesn’t matter if you are eating at a local restaurant, visiting a famous shrine, hiking in the mountains, or making sushi at a cooking class, everything you do on a personalized Tomodachi guide tour is going to be unique for the guest and the guide as well. Huber. 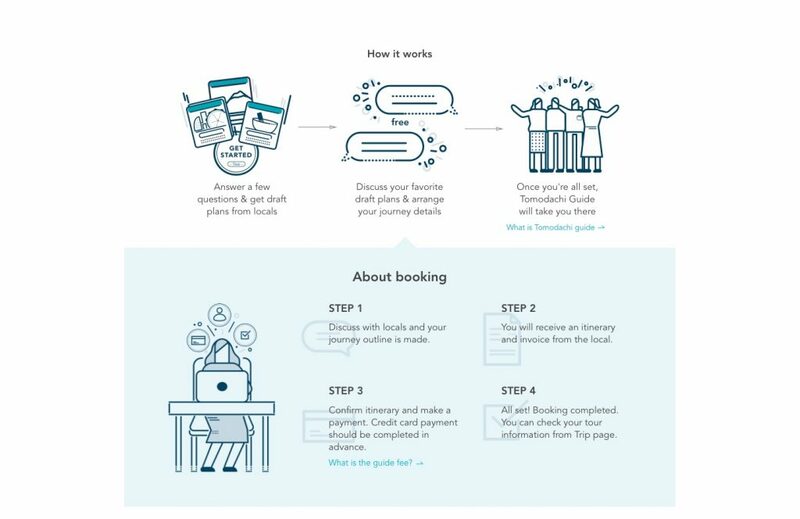 Tomodachi guide service allows the guest to create an exclusive travel plan with a local friend from scratch or to pick one of the pre-planned activities and adjust it to the guest’s preferences and schedule. There are no limitations to the guest’s wishes. Everything is discussable and highly possible! Either you would like to dress like a samurai or try a kimono, want to see Ghibli museum, but cannot get tickets, eat out at an organic vegan restaurant and try unique Japanese veggies, or go for tea leaves picking in Kyoto followed by a tea ceremony with maiko, Tomodachi guides will do their best to suit all your needs and create an unforgettable travel experience! 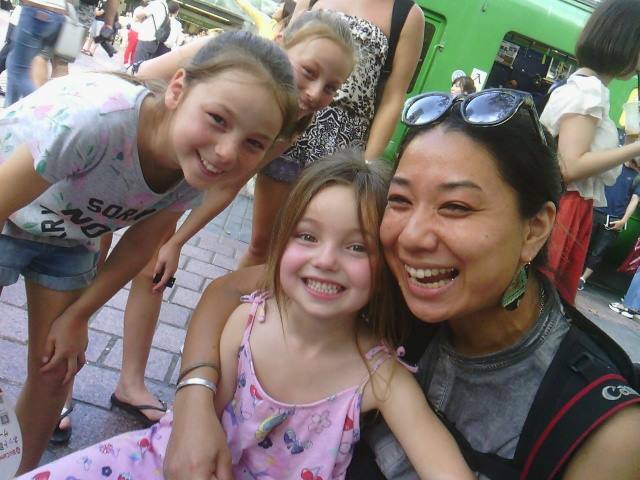 You will never be left aside at Tomodachi guide tours. I mot cases, there are two local people accompanying you during the tour. Even if one of the guides needs to converse with someone at a shop or site, another one will stay with you, so you won’t have to stay alone and wait. Besides, you will never have to worry about the language barrier. Either you do not understand something in the menu of a restaurant, want to buy something, but cannot read the tag, or curious what is written on the gates of a shrine, Tomodachi guides are always here to help and solve all the issues that might occur. The concept of Huber. 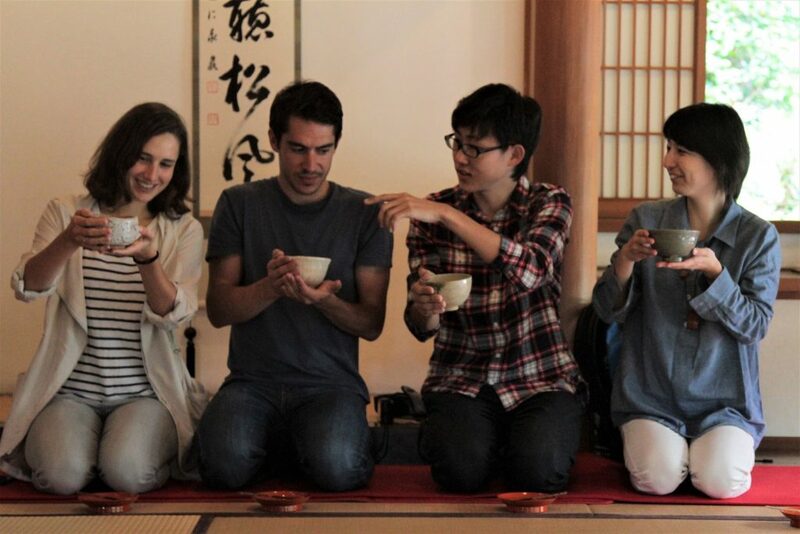 Tomodachi guide service has a major purpose for a guest to feel at home among good friends. There will be no rush during the tours, and the guides are very flexible with the plan and eager to follow the guest’s wishes. The guides are willing to have a good time with guests without any anxiety or miscommunication. You can write your name in Japanese characters at a calligraphy class, share a hot pot, go bar hopping together and have fun as friends do. It doesn’t matter whether you are traveling solo or with friends or family, Tomodachi guides will always suggest you something original and cheer you up. How to Start Your Dream Trip to Japan? Those who are looking for customized tours might be familiar with Airbnb experience services. Same as with Airbnb, at Huber. 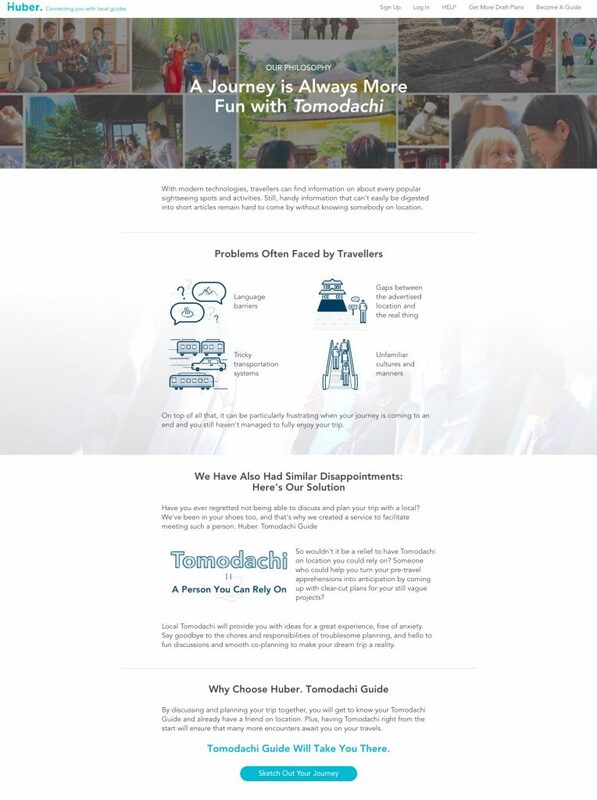 Tomodachi guide service both sides have a responsibility to experience good service. When you open Huber. application or website, just create a personal profile where you can list your travel interests, hobbies, food preferences, other countries you’ve been to, or anything that you want your future guide to know. Next, you can start sketching your dream trip plan. First, you need to answer a few questions to identify what kind of tour you are looking for and click on the submit button. You will be suggested to mention the time when you’d like to have a tour, desired places, budget, etc. Depending on the results of the questionnaire, several local guides that suit best your intentions will receive your answers. Within a few days, the guides will draft a plan for the tour they can offer and send it back to you. When you find the best option, choose it, and it’s a match. Besides, a free Huber. 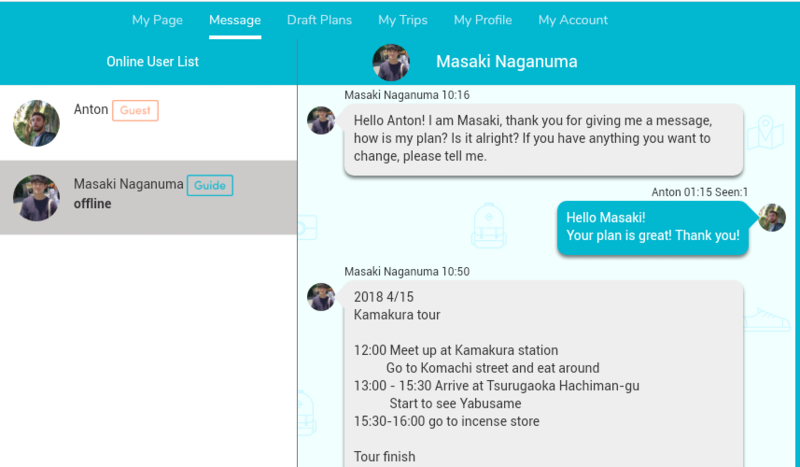 messaging app allows you to stay in touch with the guides and is an excellent tool to brush up your tour plan. It is a great way to communicate with Tomodachi guides when you are in Japan that allows you to communicate easily from your phone and not to get lost on a day of a tour. Considering this approach, every tour with Huber. Tomodachi guides is unique and prepared only according to the guest’s wishes. The sketching and consultation part is for free, you can ask any questions to sketch out your tour. Once both sides have agreed on a designated tour plan, the guide will send a “trip offer” with the itinerary and price. After you complete the reservation and pay, both sides can still adjust the details online. Sagaitu and his girlfriend decided to discover the “hot spring” side of Japan in Oita prefecture. 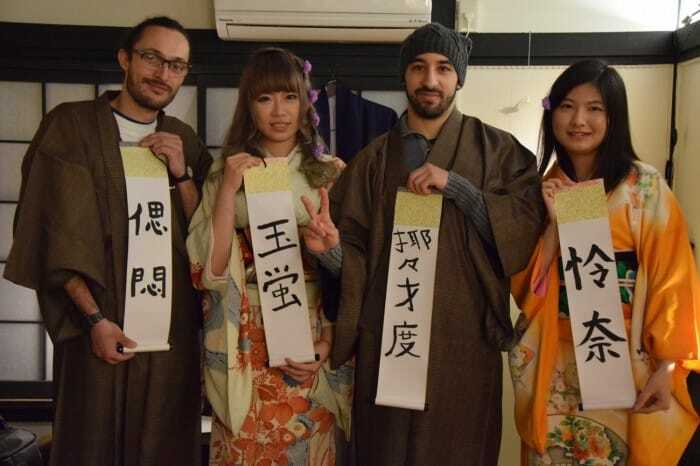 They were intrigued by the “Let’s become an Onsen Master!” itinerary by famous Beppu hot springs Tomodachi guide – Saaya and got in touch with her through Huber. application. 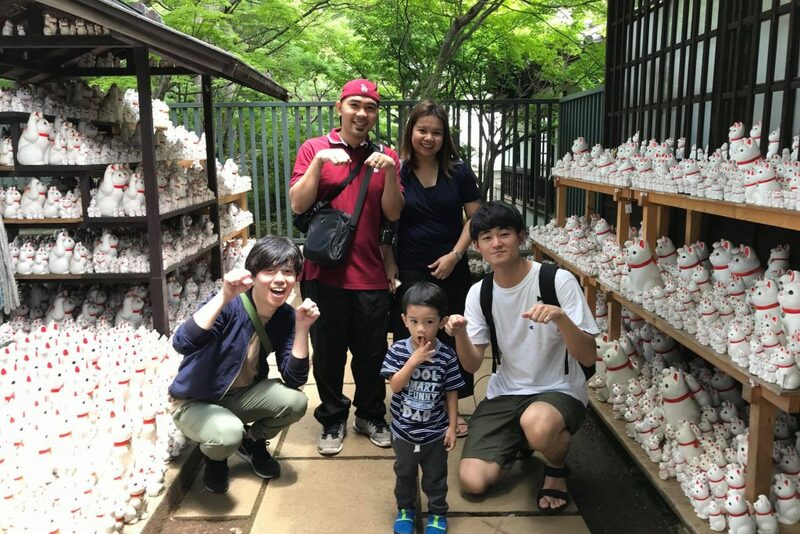 The couple was going to travel from Tokyo, and Saaya managed to suggest them the most convenient and inexpensive way to get to Beppu – a famous hot spring town in Oita prefecture. 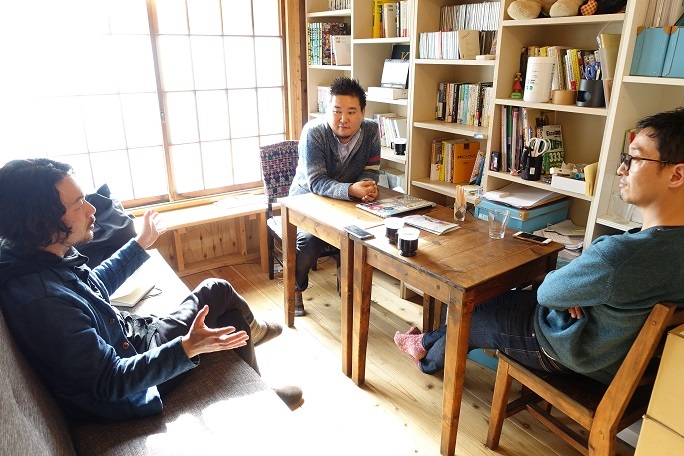 They had discussed their one-day onsen hopping tour a few days before they arrived in Beppu. Thus, there was no tension when they met for the first time with the guides, and everybody was happy to see each other. Saaya and Kanako (supporting guide) created a wonderful tour that showed Sagaitu the beauty of local hot springs and various ways to use it. The guests enjoyed their lunch prepared on steam from the hot spring, visited Chinoike Jigoku (Blood Red Hot Spring of Hell), and finally had a chance to bathe in two different hot springs and got buried in warm sand. For a tourist, it is extremely hard to find enough reliable information in English about such places as Beppu and experience everything they want to try at one time. That is why Sagaitu and his girlfriend were very happy to find Saaya and a platform where you can create a personalized tour so easy and quick. Bojan and his grandmother came to Japan to make a video. He discovered Huber. Tomodachi guide service and fond Jade – his main Tomodachi guide. As a part of the video, Bojan wanted to make an unforgettable photo shoot for his 85 years old grandmother. At that moment, it was an extraordinary request from a visitor, but Jade was inspired by this amazing woman and created a plan through Huber. application. Basically, Jade and Ryuya (supporting guide) organized this unique photoshoot. They found a kimono rental shop with the studio and invited a sumo wrestler to take part in the photoshoot. Bojan’s grandmother transformed into a beautiful Geisha in a green kimono and the whole experience pleasantly thrilled the guests. As a result, the pictures assembled everything that guests were expecting to see in Japan and to be a part of. Samurai sword, sumo wrestler, and beautiful Geisha made the pictures look stunning and colorful, plus brought a lot of cheerful memories to the guests and guides. 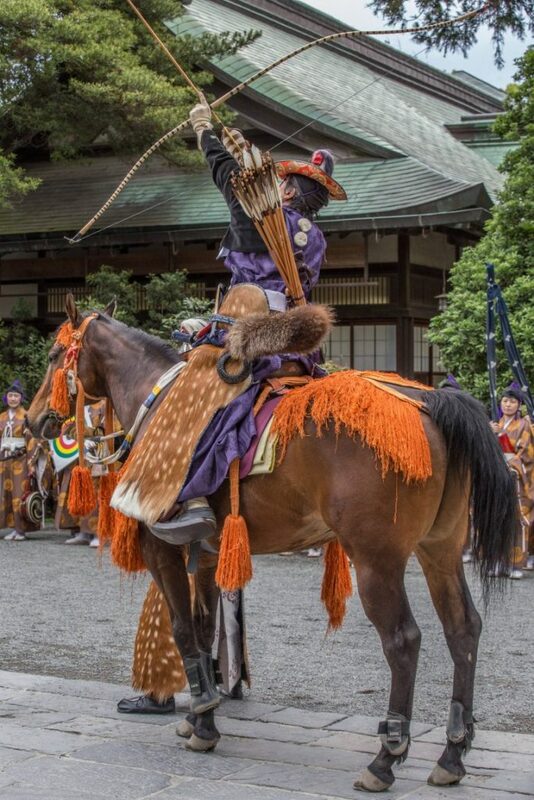 Anton also experienced the hospitality of local guides when decided to visit a horse archery festival in Kamakura. 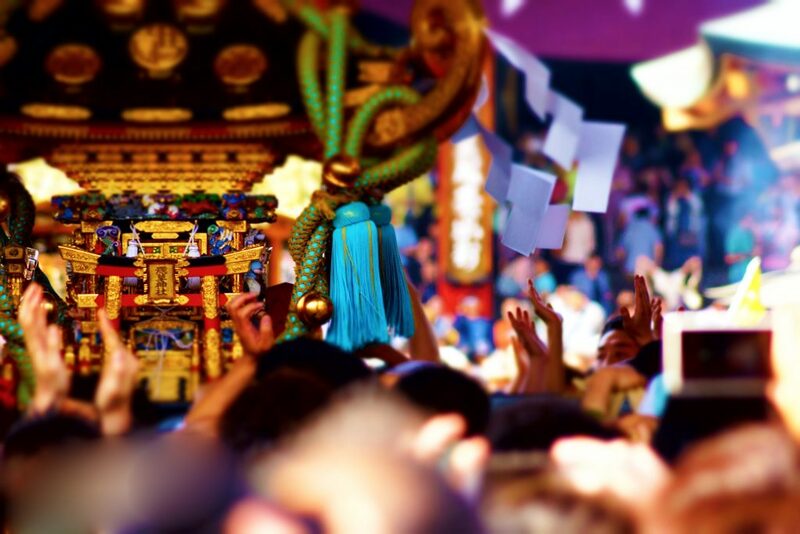 He was looking for a traditional event in spring where he could take nice pictures and discovered this amazing festival in Kamakura along with Huber. services. Fortunately, the main office of Huber. is also in Kamakura. 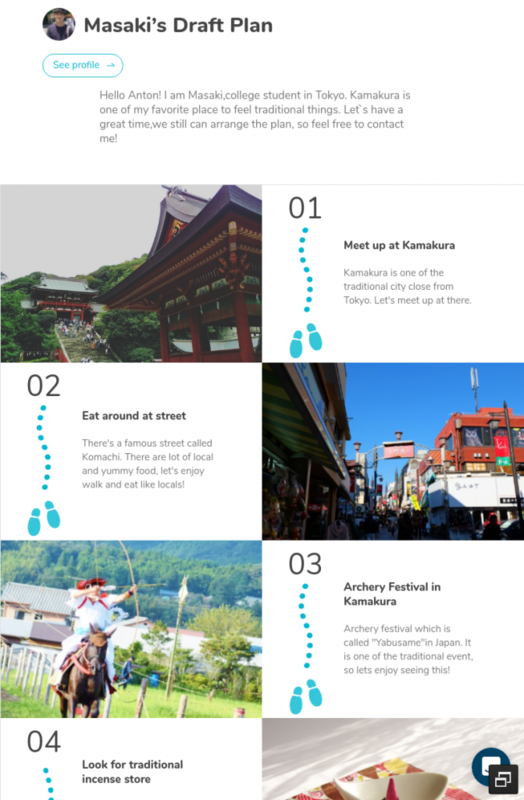 Anton thought it would be a great idea to connect with local people, who could help him to make a plan, show good spots and tell more about the festival and Japanese archery in general. So, he decided to use Huber to find guides and new friends in Kamakura. There was almost no time, as the festival was on Sunday, and Anton decided to invite guides on Friday evening. He was a bit worried that no one would reply to me because of the short notice. But everything went well. He shared his intentions about an upcoming trip on Huber website and received an almost immediate answer from a few guides. All of them sent a draft for the trip; Anton only had to choose one. Anton met with Masaki and Leo (my Tomodachi guides) near Kamakura station. Then the guides could choose a proper spot to take good pictures, they told Anton a lot about the art of archery in Japan and particularly in Kamakura. And of course, the taste of vegetable curry which they discovered with Leo and Masaki will stay in his mind forever. In the last few years, more than 5000 locals registered as Tomodachi guides all over Japan. And each of them is desperate to get acquainted with foreign people and introduce their hometown, favorite food, and hidden gems that only locals know about. And the number of guides is growing rapidly. 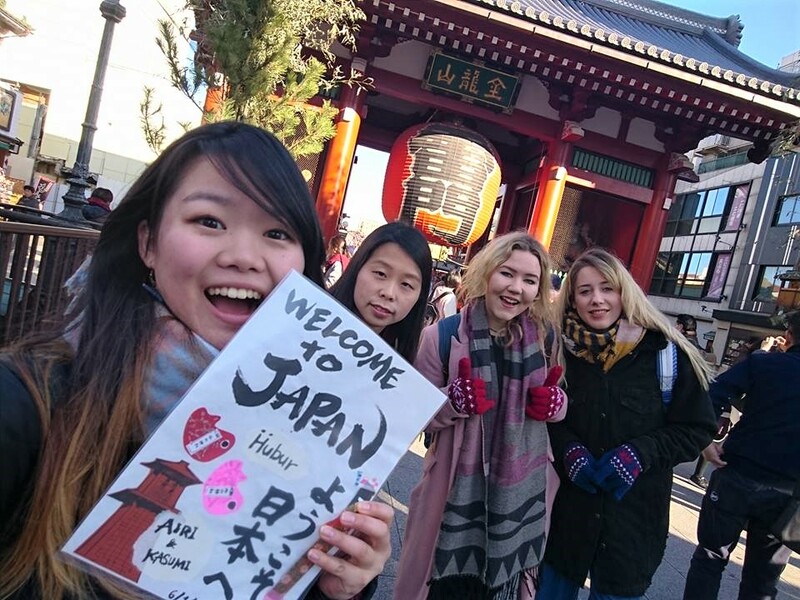 All people who become Tomodachi guides are friendly and eager to introduce you to their homeland with exceptional hospitality. With the development of modern technologies, it became much easier to connect with people, and this matching platform welcomes the pioneers who have strong motivation to make friends and explore new horizons through intercultural exchange. Becoming a Tomodachi guide is easy and will not take more than 10 minutes. 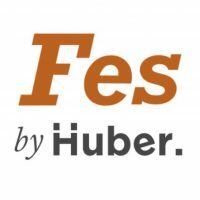 All you need to do is to answer a few questions and register as a guide on Huber. website. Then, you are ready to make new friends from abroad, chat with them, and send your creative guiding plans to share your favorite activities and places in Japan. As the 2020 Summer Olympic Games in Tokyo are extremely close, and Japan is expecting a big flow of tourists, Huber. Tomodachi guide service is what the country needs. As Tomodachi guides are registered all around Japan, they contribute to the popularization of rural areas among foreign tourists. Thus, they are fighting the economical decrease of the smaller villages and towns that suffer from urban migration. Huber. provides great opportunities for various people to participate. Especially in smaller towns, the local guides can integrate small local businesses into their working scheme and come up with a win-win situation. This point also makes Huber. Tomodachi guide service to stand out of other guiding services in Japan that are concentrated around famous sightseeing spots. You may find a Tomodachi guide in many small villages around Japan, which gives you an exclusive opportunity to see rural parts of Japan that preserved its traditions and lifestyle for centuries, and almost no one has discovered it yet. 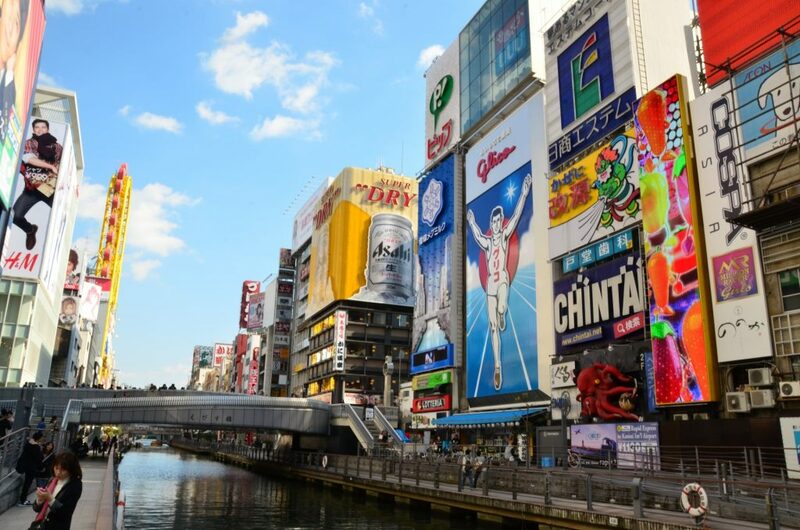 As the government has a purpose to achieve 40 million tourists visiting Japan annually by 2020, companies like Huber. come up in the first place with the innovative approach to attract new tourists and are going to lead the way. – 2017 August, The Mainichi Shimbun. Introduction of Huber.`s services and guides in Kamakura. – 2017 December, The Nihon Keizai Shimbun. An article on Huber.`s development of offshore branch in Cebu island. – 2018 February, The Nihon Keizai Shimbun and The Asahi Shimbun. 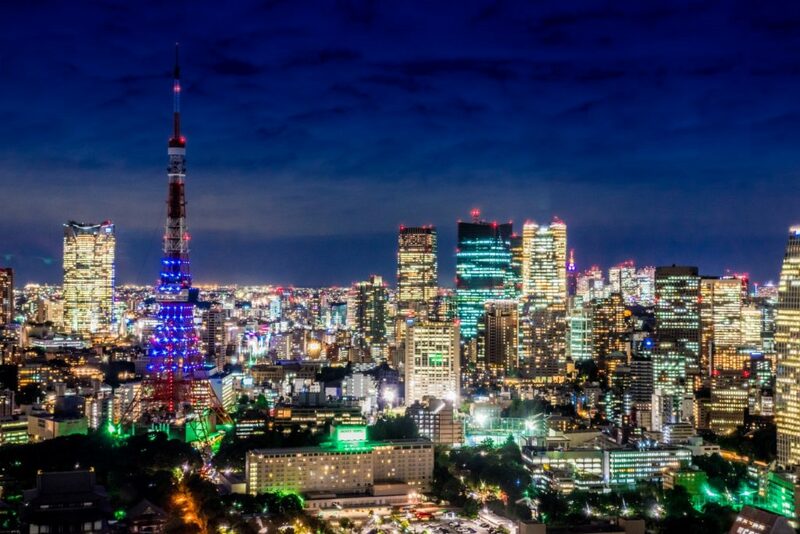 An article on the joint experiment in Yokohama with Yokohama City Office Administration, Information Services International-Dentsu, Ltd. (ISID) and Huber. – 2016 June, Monthly Project Design Magazine. Huber. was listed in the July issue. – 2017 February, Toyo Keizai Magazine. In “Venture Boiling” issue Huber. was listed in “Top 100 companies that change Japan”. – 2017 October, Huber. was introduced at “Naruhojo Jipangu” show on Asahi TV. – 2017 October, Huber. was introduced at “The Dawn of Gaya” show on Tokyo TV. – 2018 February, Huber.`s guide in Kyoto was introduced in “Ohayo Nippon” show on NHK. – 2017 December, Huber. was introduced at “Koh Gen Do WORDS ALIVE” show on J-WAVE. – 2018 January, Huber. was introduced at “Lovely Day” show on FM Yokohama. – 2018 April, Huber. was introduced at “Ryo Abe’s NGO World Tour!” program on Nippon Broadcasting. – 2017 December, Huber.`s services and guides in Tokyo were introduced in the electronic version of The Nihon Keizai Shimbun. Huber. 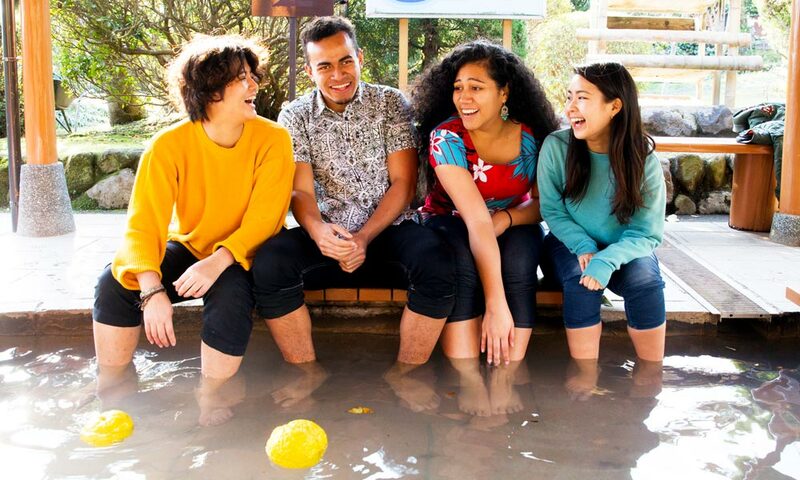 team members are passionate young people who devote their thoughts and skills to the idea of breaking borders between foreigners and Japanese people through intercultural exchange and cordial hospitality. 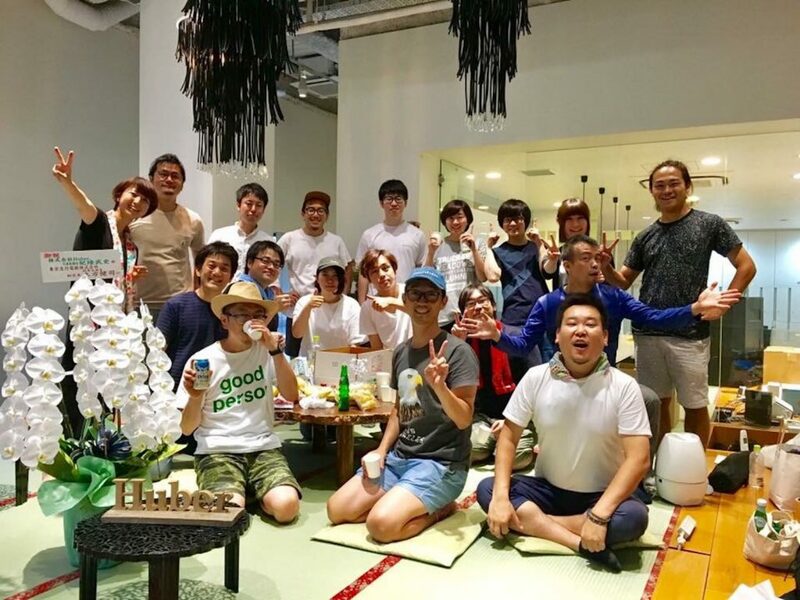 They believe that the Tomodachi Guide service can help contribute to creating a society that recognizes diversity across all borders, not only between foreigners and Japanese people but also among the Japanese themselves. 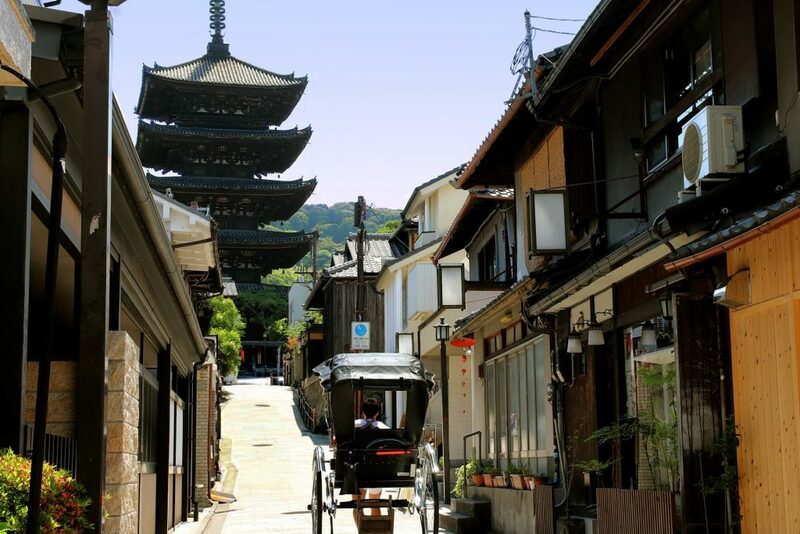 An Ultimate Idea Source for Your Kyoto Stay! Hi! We’re FestivalGo Editorial Team! Best 11 Nebuta Float Festivals – The Most Spectacular Matsuri in Japan!